Most tenants recognize that working with a professional property manager yields more reliable results, including: safeguarded deposits, thorough vetting of owner/landlords and prompt and effective property repairs. Happy tenants make happy landlords. Perhaps you’ve told yourself you never want to be a landlord. It’s a lot of work with many potential areas of risk. Running a rental property is like running a business. That’s where we come in. We have the tools and experience to make the most of your Palmer Ranch rental property. Not only can we help maximize your return on your Palmer Ranch investment property, you turn the management of the property over to us and let us take care of the hassles. Every day your Palmer Ranch rental property sits vacant, you are losing money. Do you have access to market data to best estimate currently competitive rental rates? Are you aware of the most effective means of marketing your Palmer Ranch rental property? Do you have access to networks of websites to distribute your listing to dozens of points over the Internet? Do you have access to the Multiple Listing Service that makes your listing known to other realtors around the area and to the general population through Realtor.com? Do you have time to promptly respond to rental inquiries and conduct showings of the property? 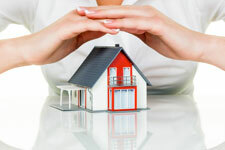 Are you up-to-date with your responsibilities to your tenant as a landlord under Florida law? Do you have access to detailed, nationwide credit- and background-screening services? Do you know how to address the myriad landlord-tenant issues that can arise during a tenancy? Do you know how to initiate and file for an eviction should your tenant violate the lease? Unlike many others out there in this economy, we have the skills and experience to best protect you in a rental transaction. We are thorough, consistent, and customer-oriented. We know how to run the business that is your Palmer Ranch investment property. We have invested heavily in the most advanced technology tools to serve your needs. Mount Vernon Property Management, Inc. complies with all state, local, and federal Fair Housing laws and the Florida Landlord and Tenant Act in Palmer Ranch property management. Palmer Ranch is a massive real estate development in Sarasota County, Florida between the cities of Sarasota and Osprey. Located very roughly by Clark Road, Tamiami Trail and Interstate 75, it was part of the original 80,000 acres (320 km²) of Florida land purchased by Bertha Honoré Palmer, wife of Chicago department store tycoon Potter Palmer, best known for the famed Palmer House hotel in Chicago. It is one of many former Florida cattle ranches developed into planned communities; the other most notable ranch conversion in the Sarasota Bradenton area is Lakewood Ranch. Sarasota’s Residential Rental Resource since 1986. Copyright © Mount Vernon Property Management. All Rights Reserved.